James Akins, associate professor of tuba and euphonium, has been principal tuba of the Columbus Symphony Orchestra since 1981. 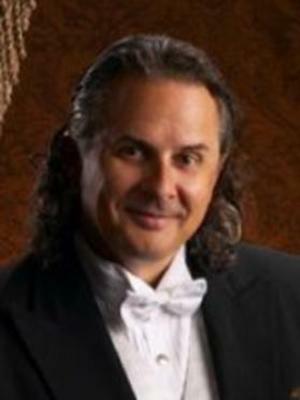 He is a member of the Columbus Symphony Orchestra Brass Quintet and the Ohio Brass Quintet. Akins is also a clinician/consultant for the Tuba Exchange in Durham, North Carolina and has been a design consultant for various tuba companies. Currently, he is working with the G+P Instrument Company of Milan, Italy. As a consultant for the United Musical Instrument Company, working with the Conn Instrument Co. division, he collaborates to develop professional tubas. Through these and other companies he has developed many new designs for the tuba community. As a clinician for these companies, Akins has given tuba master classes and recitals for high schools and colleges throughout the country. Akins has presented many master classes with the Native American flute and has become a world renowned flute maker. He studied the tuba with Ronald Bishop, Cleveland Orchestra; Arnold Jacobs, Chicago Symphony Orchestra; Robert Ryker, Montreal Symphony; Fredrick Schaufele Jr., Lakewood High School; and Robert LeBlanc, professor emeritus at The Ohio State University. He received his BM in 1978 and MM in 1982 from The Ohio State University.